CHICAGO, IL – Thresholds opposes any changes to Medicaid which create unnecessary barriers to accessing healthcare, including work requirements. 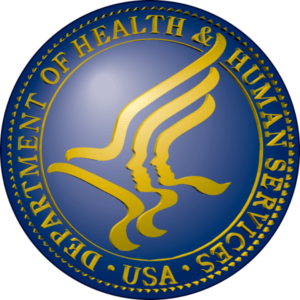 Recently, the federal government issued a notice encouraging states to consider imposing additional restrictions in order to qualify for healthcare through Medicaid – namely work requirements. Medicaid is a health program funded in partnership by the state and the federal government to ensure that low income Americans have access to the care they need to stay well and thrive. More than 3 million Illinoisans have health coverage through Medicaid including children, pregnant women, seniors, and the disabled. Those who have lost employment or who are unable to work due to chronic conditions or other circumstances beyond their control should not be punished by losing access to healthcare. According to the Kaiser Family Foundation, 80% – the vast majority – of Illinoisans with insurance through Medicaid are already in working households. Through supported employment programs, many living with mental health and substance use conditions are able to prepare for interviews, match their skills with employers’ staffing needs, and receive ongoing support both before and after the hiring process. Unfortunately, these types of evidence-based programs are underfunded, limiting the number of people who are able to benefit from the program and successfully connect with gainful and meaningful job opportunities. Under the Affordable Care Act (ACA), Illinois and states around the nation witnessed historical lows in the uninsured rate. However, data for 2017 suggests that rates of coverage are being negatively impacted by the federal government’s reduction in funds for marketing and threats to end subsidies, cut Medicaid, and repeal the ACA. Creating new, onerous Medicaid eligibility criteria would only exacerbate this loss in coverage and make it more difficult for thousands of Illinoisans to access healthcare, including mental health and substance use treatment. As opioid fatalities skyrocket, both federal and state leaders have recognized we are battling a public health crisis. Now is not the time for more red tape that puts treatment even further out of reach when it is so desperately needed. This federal proposal is ill-informed, inhumane, and disregards the urgent healthcare needs of communities across our state. Public policy must promote the well-being of the people, not stand in the way of it. We join the call for Governor Rauner and his administration to denounce this radical departure from the purpose of Medicaid – to expand healthcare access for low income people. This entry was posted in News and tagged advocacy, healthcare, Illinois, Medicaid, public policy, trump administration, twill, work requirements. Bookmark the permalink.